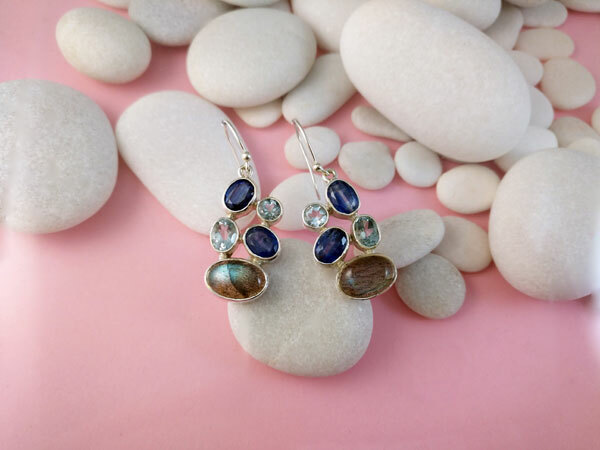 Sterling silver earrings and gems of Sapphires, Aquas and Labradorite. 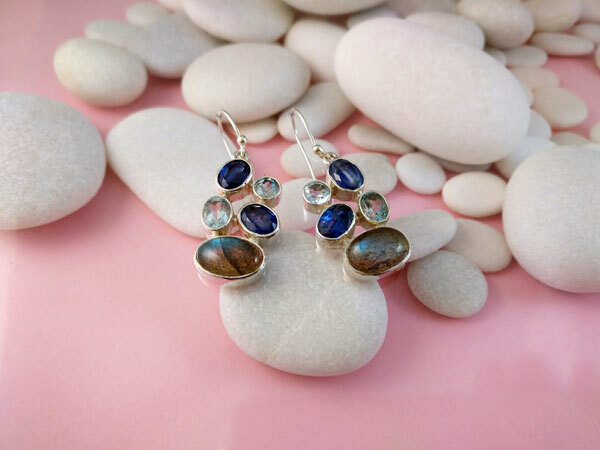 Sterling silver earrings and gems of blue Sapphires, Aquamarines and Labradorite. 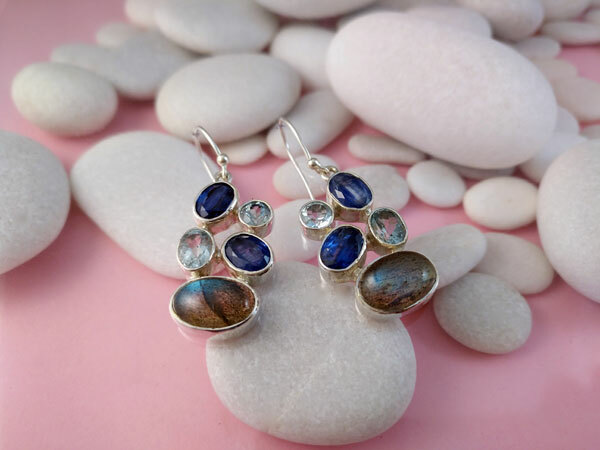 Measure 1.4" high and 0.6" wide.